· Provides for new representational elections within Constitutional Law. 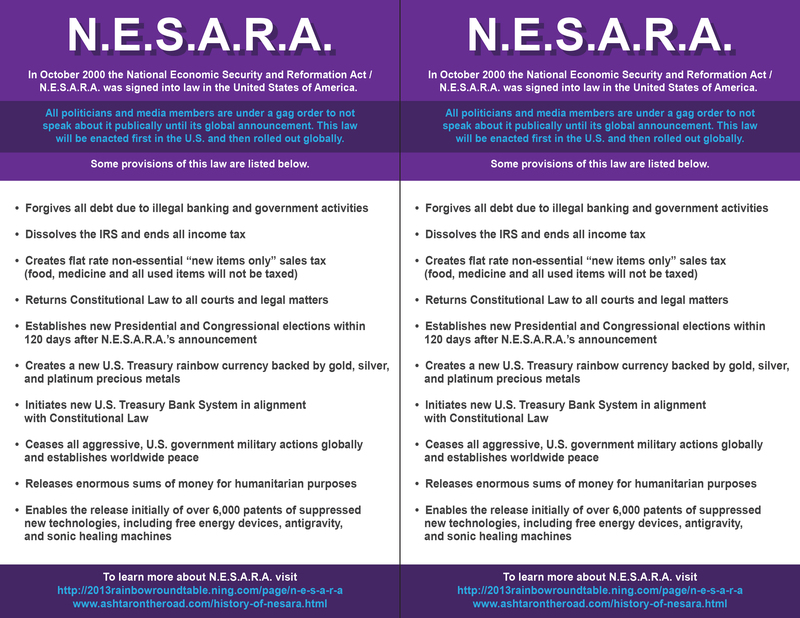 · Creates new US Treasury currency backed by gold, silver and precious metals,ending US Government bankruptcy. This will initiate global economic reform. The provisions of the National Economic Security and Reformation Act have been composed by visionaries who wish to correct past wrongs against the people in the United States. It is supported and inspired by statesmen around the world, as well as off-world, as a vision for global peace, freedom and prosperity.